I can't get these two boxes to line up. I have similar set ups on the rest of the page, but these two just won't play together. I've gone into the code but I don't know what I'm looking for. It can be fixed using these CSS codes. 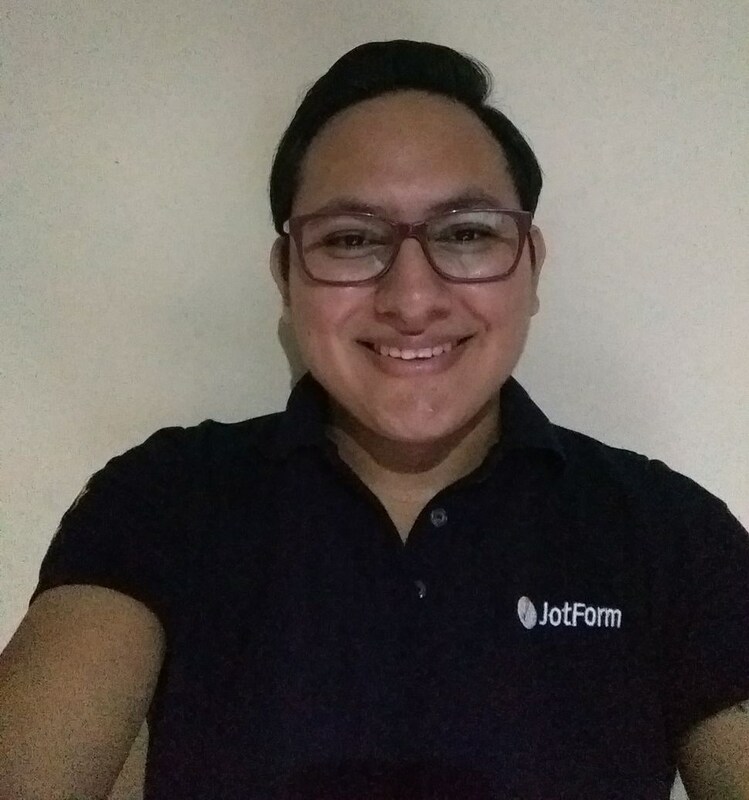 here is my test form https://form.jotform.com/53406790350958? Hope this help. Let us know how it goes. No, although those two boxes are equally annoying. 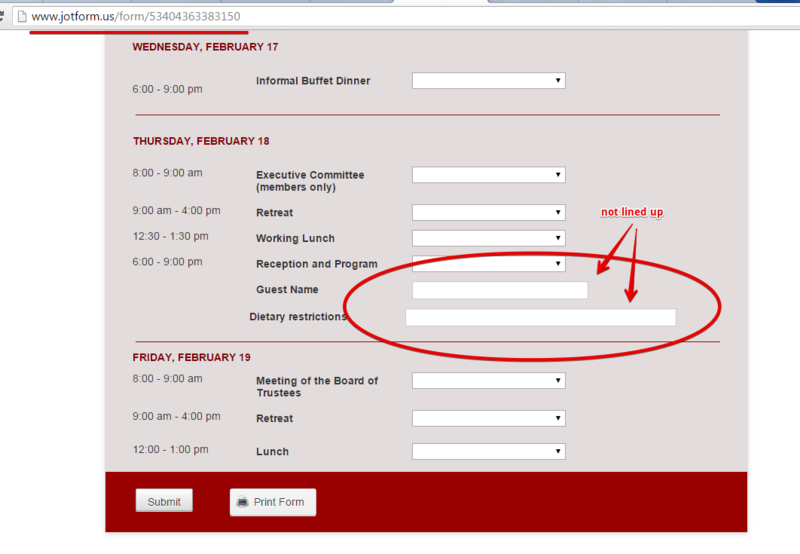 I was referring to the two boxes under the Wednesday, February 17 heading: 6:00 – 9:00 pm Informal Buffet Dinner. And – I’m not even sure where I would paste your code provided below. If you are taking suggestions, sizing boxes would be so much easier if one could just grab a hold of the edge and extend/shrink it to a particular size. I use a lot of code on websites I manage, and am having a lot of trouble understanding what I’m looking at here. That aside, you guys are always very responsive. Much appreciated! !